Last weekend, I was lucky enough to catch Nisi Shawl giving a talk on Octavia E. Butler at the Woodson Library: a crossover event with One Book One Chicago and Black History Month. Shawl references her interview with Butler in Strange Matings by Aqueduct Press. She first met Butler in 1999. Butler believed in living her dreams, how does that translate? Butler's now-famous "I shall be a best-selling writer" and other notes to self. Shawl also talks about Butler's writing advice from "Furor Scribendi" in Bloodchild and Other Stories. Butler was the first SF author to get the MacArthur grant, used it to buy a house so she could write without worrying about rent. Butler took many "jobs that didn't make her smile" to support herself as a writer. Shawl talks about the importance Butler placed on persistence. "Being a writer is not just about writing." Butler was very shy but gave many speeches—took public speaking classes to be able to do so. "Not natural, but necessary." Authors hate mall signings, unless you're Anne Rice. 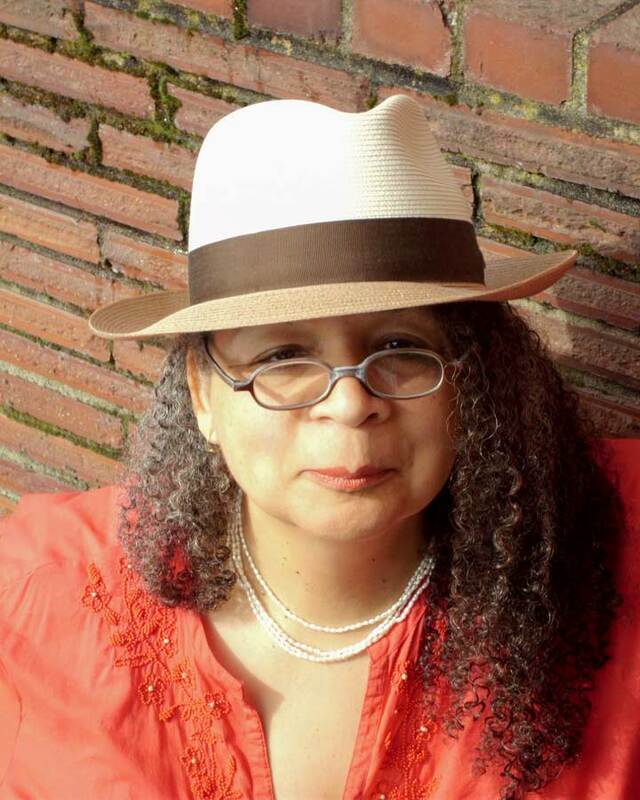 Shawl talks about Butler's research for her fiction, including books of baby names to make sure her characters' names had meaning, travels to the Amazon, and one of the world's sleaziest hotels, where "even the cigarette butts were dusty". Butler supported other writers on the way up financially, bounced ideas around with writers like Shawl, Steven Barnes & Tananarive Due. Ideas are a dime a dozen, ask any writer. Ideas aren't what we need, what need is to do our work. Shawl talks about her experiences with Butler—going to plays, trying questionable vegan foods. Butler's memorial service showed how deeply she affected people. "Kindness and honesty are a difficult combination to carry off. Judging by the reactions of those who encountered her, Octavia managed it quite well." The trope of "The Next Octavia". But that's not quite right: "I'm not the next, I just owe a lot of who I am to her." 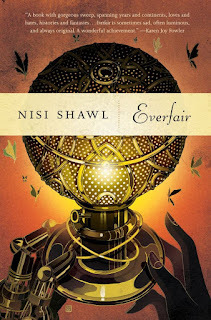 Talks about a Wiscon panel (by Shawl, Candra K. Gill, K. Tempest Bradford, N.K. Jemisin, and Nnedi Okorafor), and a coffee mug, with that title. Butler's ongoing influence, including anthologies like Octavia's Brood, and the flash fiction contest (that Shawl judged for) Door to a Pink Universe by the Seattle Public Library. Shawl talks about Butler's involvement with the Carl Brandon Society, which gives the Kindred Award and the Octavia E. Butler Scholarship. Some of the recipients' work is collected in Bloodchildren—it's a pretty amazing list. Butler's prominence in academia—Kindred taught frequently, for instance—but unsure if anyone is doing entire course-length Butler investigations. There are some short films based on the Patternist books, but nothing series or feature-length; Fledgling has been optioned. Shawl would love to see some animated takes on her work. Talks about Butler taking screen-writing classes for sit-coms; it's hard to imagine "The Fresh Prince of Bel-Air" à la Octavia Butler. 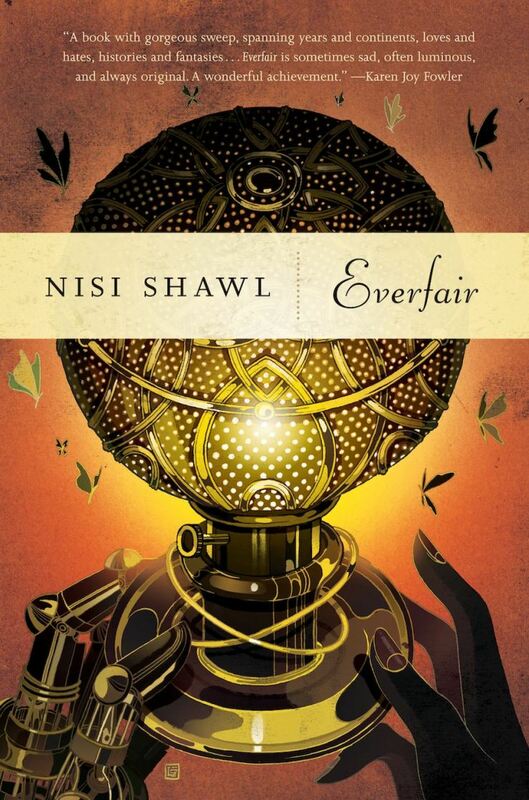 Discussion about Shawl's wonderful novel Everfair (which Think Galactic read a bit back). How would you define Butler's particular genre? Change-the-World fiction. Afrofuturism is a debatable term for a couple reasons. Butler was firm about Kindred being fantasy—when asked by Walter Mosley why it wasn't science fiction, responded "Well, no science, Walter."